When you walk into a casino there’s always one dealer with the faster hands. One dealer that can fool a gambler into making mistakes. They can lull you into a false sense of security with an “honest smile”, but don’t be fooled they’re as bad as the rest and after your money! 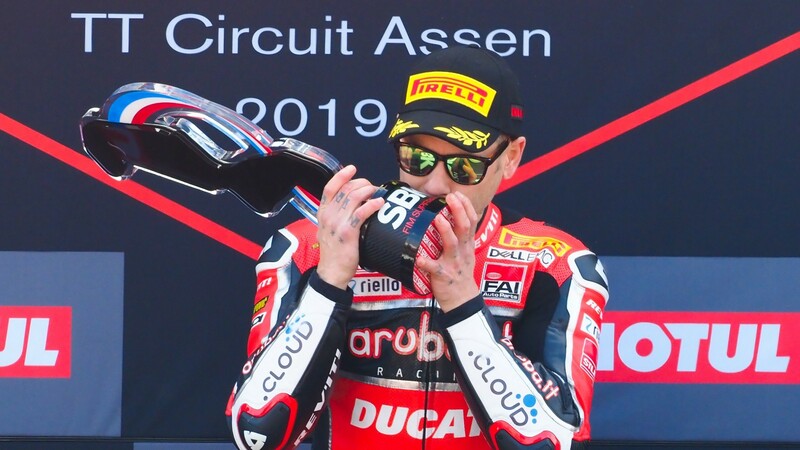 Alvaro Bautista (ARUBA.IT Racing - Ducati) was that dealer in The Netherlands for the Motul Dutch round of WorldSBK, with the Spaniard hiding an ace up his sleeve. The rest of the field thought they had a shot last weekend, and that the Spaniard was vulnerable. But when the chips were down, he found his aces, and picked up a double win. The weather conditions were the biggest talking point of Assen. Not only the snow and sleet that made Saturday a lottery, but far more importantly the cold, Arctic wind that swept over TT Circuit Assen. It caused the rain the turn to sleet and therefore havoc for teams. In particular it cost Ducati one of their biggest advantages, with Michael Ruben Rinaldi (BARNI Racing Team) explaining the challenge. He wasn’t the only rider to talk about this issue and on Friday it was clear that Bautista was struggling. His back was against the wall and he was having to try lots of different settings. We saw him on Friday afternoon sitting in the pitlane. Waiting. He was waiting for more than setup changes to be made. He was waiting for the Ducati to find its form. At the end of FP2 he did find some progress, by going back to the same settings that he used in the opening three rounds of the year. On paper from that point onwards he was flawless. Pole position and winning both races on Sunday left him unbeaten for the season, but it wasn’t that simple. Bautista had good fortune in Superpole to take pole position. The red flag came out when he was the first of the leading riders to set a time with his qualifying tyre, so he was fastest but there wasn’t enough time left on the clock to restart the session. Michael van der Mark (Pata Yamaha WorldSBK Team) was second fastest but set his time on a race tyre. Tom Sykes (BMW Motorrad WorldSBK Team) was on a great lap but qualified sixth. Jonathan Rea (Kawasaski Racing Team WorldSBK) had only started his lap and started both races from eighth on the grid. 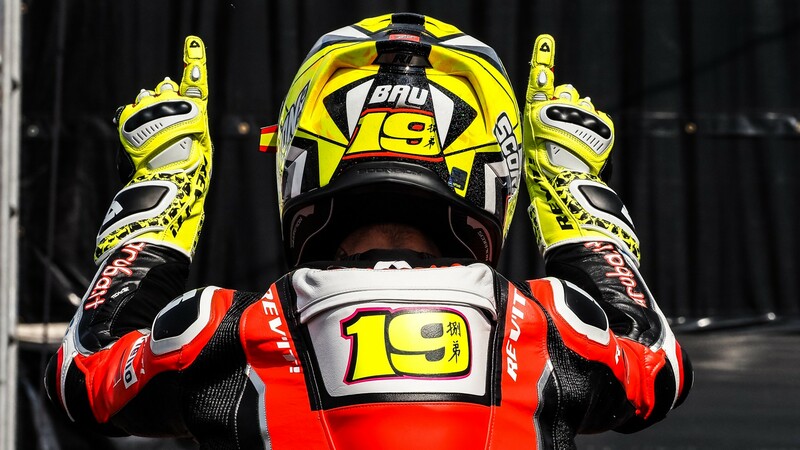 In a difficult moment, Bautista rode his luck. His rivals had stronger hands but Bautista called their bluff with a pair of twos and won. Sometimes the rub of the green is all you need, but sometimes you also make your own luck at the table. Bautista used his good fortune to the maximum benefit and was able to win both races. The Ducati rider had to scrap it out at times-particularly in Race 2. Rea left himself too much work to do to get through the field in the opening race. In the afternoon, tyre wear would bring an end to his run of second place finishes in 2019. But an unbelievable start saw him move into the lead in only five corners. In the final laps of Race 2, with Bautista released at the front, Rea came under attack from van der Mark. Their final lap battle saw them make contact after Rea dove down the inside at Turn 10. After the race van der Mark said what the rest of the field are thinking, “when you can’t win you’ve got to finish second.” It’s as good as a win at the moment, but at the very least the field saw that Bautista can be battled with and can be vulnerable. It was low track temperatures that left the Spaniard fighting off his back foot, but it showed that he might have to scrap it out with his rivals at times in 2019. 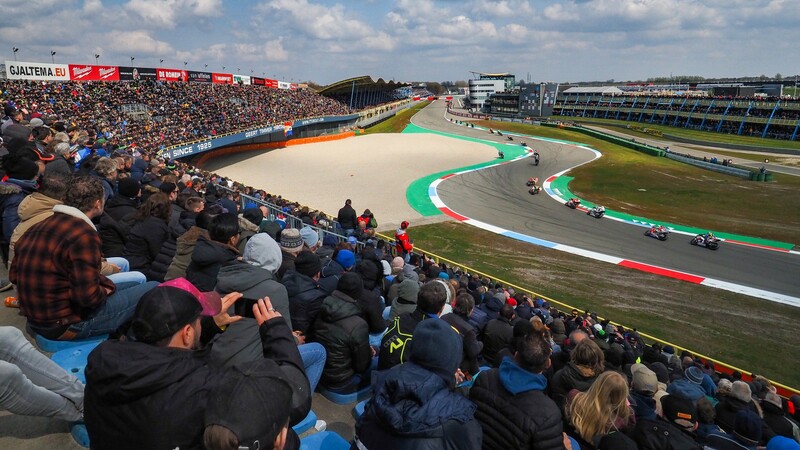 Relive the best moments of the 2019 Motul Dutch Round, thanks to the WorldSBK VideoPass.